You might be one of the many South Africans who spent the last week hurrying to meet the Friday deadline for submission of individual taxpayer’s returns. As you did so, your thoughts may have naturally turned towards your company tax. Company tax deadlines match that of the company’s financial year-end, and therefore are unlikely to coincide with the individual d-day. But whether your company tax returns are due in the next month or eight months from now, the guiding factors are the same. According to some, your company tax bill is a partial reflection of the skill of your financial management. Obviously, the onus is on you not to short-change the tax man by evading taxation. But at the same time, there are several ways to limit your company tax burden – and the more you know about how to do it, the less ominous the task of paying your company tax will be. 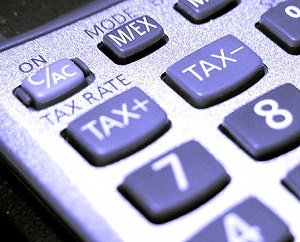 Below is a collection of tips from tax experts that will assist you as you prepare to pay your company tax. Always start by looking to maximize your deductions. Bear in mind that the South African Revenue Service (SARS) only allows you to claim those expenses that are incurred in the production of your income. Expenses incurred in pursuit of your work-related goals are tax deductible In other words, cellphone charges that were incurred making work-related calls are deductible, but personal calls are not. Therefore, ensure you have systems and processes in place that accurately track work-related travel and accommodation expenses, rent, equipment, salaries, uniform expenses, capital costs and other relevant items. If your accountant is doing his or her job properly, these should be already be accurately tracked as part of your company’s daily operations. According to small business advisor Tyronne Nel, entrepreneurs often do not realize that they can claim an expense that they themselves have personally paid for. This is in fact perfectly allowable, as long as the golden rule applies – the expense was incurred in the production of your income. So scan through your credit card statements and look over your cheque account. If you bought some office furniture or paid for a company rental car out of your own pocket, now’s the time to claim for that expense. Nel also highlights that business owners can claim for expenses where provision has been made for the cost, even though the money may not have yet “left your bank account”, per se. So, if you’re undergoing maintenance at the office, have received several bills for contract work but have not yet paid them all, you able to claim these as expenses as long as they fall within the relevant year time period for your company tax. Although you are probably aware of tax requirements around salaried employees, SARS reminds us that the remuneration of directors of private companies, including individuals in CCs performing similar functions, is subject to employees’ tax. It is, therefore, often only finally determined late in the tax year or in the following tax year. If you are the director of a start-up business, fund your living expenses out of your loan account until you determine your remuneration. And a little reminder from the tax man on this note: “A director is not entitled to receive an employees’ tax certificate (IRP5) reflecting the amount of employees’ tax paid by the company on the deemed remuneration if the company has not recovered the employees’ tax from the director”. In other words, it all starts with paying your tax as an employee. Company tax can be a daunting task, especially when it comes to evaluating what needs to be included without unnecessarily adding to your tax bill. For this reason, many business owners choose to outsource their company tax reporting requirements, or bring in an expert to assist with the process. If you are looking for such assistance, The Finance Team can provide highly qualified finance professionals on an interim or ad hoc basis to help you make sense of the rules regarding company tax.